My oldest son had as an assignment the task of interviewing someone who lived through the 1980s and chose me as his interviewee. I don’t recall much of the 20 minute interview conducted yesterday (Sunday) or its questions but I do remember addressing the subject of communication. I described for him the differences in my childhood and mine with regards to technological innovations such as cell phones, smartphones, texting, the internet and social media. As I described sitting on the stairs in the house where I grew up, stretching the phone cord as far as it would go so that I could sit higher on the stairs while talking to my girlfriend and eek out a little more privacy, I could see him chuckling in an attempt to comprehend my actions. 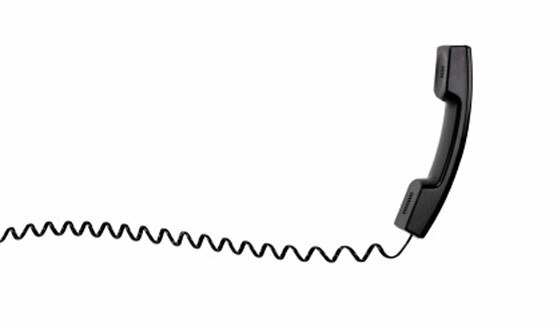 Especially since he’d spent much of the extended Thanksgiving weekend exchanging texts with his girlfriend and as far as I know has never in his life seen a phone cord. I closed that portion of the interview with words to the effect that while we have more quantity in our communications I’m not sure we have more quality. There are more means available than ever for us to access information and communicate with the world around us, but I questioned whether our ability for meaningful personal communication has suffered. I mentioned how we are more alone than ever. And then this morning I saw this. I don’t post it to be a smarty-pants and say I’m prescient. I post it merely for edification. And for your information. We are together alone. How to counter this? Here’s a hint of what I use. Prayer is man’s richest boon. It is his light, his nourishment, and his very life, for it brings him into communication with God, who is light, nourishment, and life. 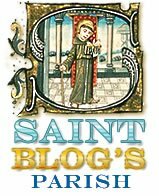 – General Preface to The Liturgical Year, Vol. 1, by Dom Prosper Gueranger. As usual my plans for this time of year include a lot of reflection, study and prayer. I formed this habit fifteen years ago when I was a small business owner. Sales for my line of work (small business advertising) would slow down and allow me two weeks of unfettered review, planning, goal-setting, etc. For the last ten years I’ve been back in corporate America and no longer own my own business. While I don’t have all that free time I do still make it a point to reflect, to plan, and to pray. One of the ways I am doing this is by the use of three books and a journal. By combining The Better Part, the Catena Aurea and The Ancient Christian Commentary on Scripture I plan to slowly make my way through all four gospels and write reflections and points of interest as I go. I only started a few weeks ago but in that short time have learned more about Matthew’s Gospel than I had before, and I’m only just finished with the first chapter of verse. Maybe I am just a fuddy-duddy. A fuddy-duddy that reads good books and drinks good Scotch. I also plan to read the recent work of Pope Francis: Evangelii Gaudium or The Joy of the Gospel. I hadn’t thought much about it and almost missed its release in all the hub-bub surrounding Thanskgiving and a busy week of work leading up to the holiday. But anything that can upset persons from both sides of the political aisle as varied as Rush Limbaugh and those at MSNBC is worth reading. Pope Francis appears to be upsetting people left and right and brings to mind another figure from two thousand years ago, a man controversial in his time who said some rather uncomfortable things. Thanksgiving morning found me waking up at my in-law’s farm in south central Nebraska. It was an overcast morning, chilled by a wind that swept across the fields. I showered and dressed for Thanksgiving Mass, and afterwards went for a walk on the farm with my breviary. 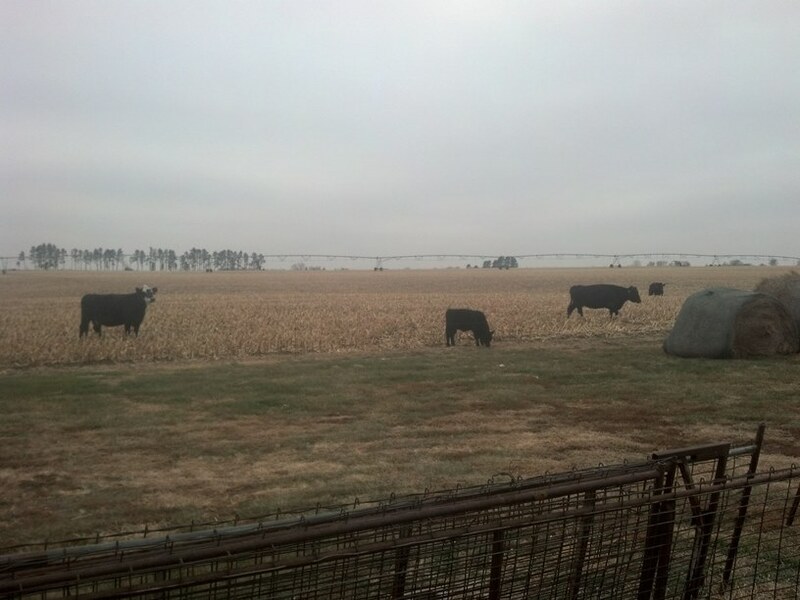 I stopped at a spot facing south across the fields and prayed Morning Prayer while watching my brother-in-law’s cows walk in for some feed. His daughter introduced my young daughter to some of the cows later that morning, particularly those she named. There was Buttercup, Cookie Dough, Ginger, Oreo and Minty. Samantha explained in great detail to Sophie how some of the young cows lacked manners and she was putting them through a finishing school of sorts to teach them to not be so pushy at feeding time. Then she walked us to the chicken house, introduced us to the group, and allowed Sophie to feed them as well. 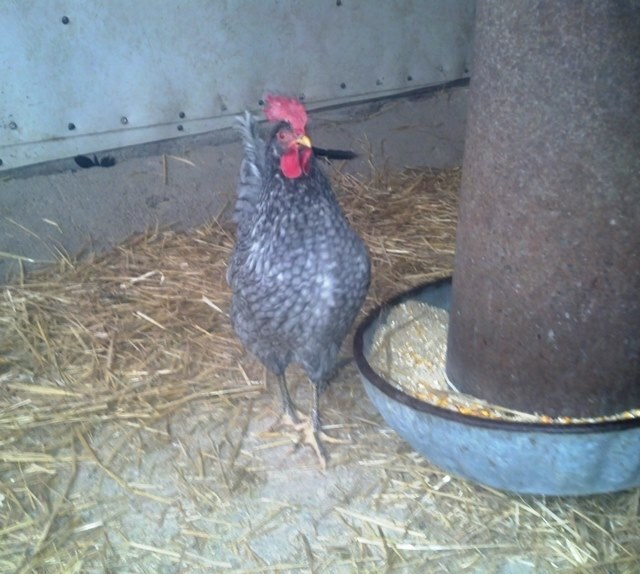 Being in an enclosed space with a rooster crowing every few seconds brought me back to a childhood morning when I was my daughter’s age on my first sleepover at a friend’s house in eastern South Dakota where I grew up. Terry’s chickens were loud, too. The four-day extended weekend went by much too fast. Friday we were back at home and visited with my parents who were in town. Since we were blessed with terrific weather overall and were able to spend time outdoors my boys and I raked leaves and filled too many recyclable sacks. 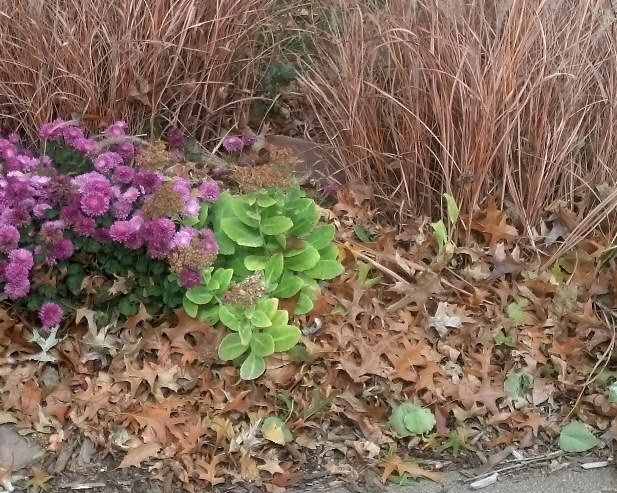 At one point I paused to smell the unique aroma that is dead, dusty leaves and wished for another unique smell of autumn that is no longer possible due to city fire codes: the smell made by small piles of leaves as they smolder and burn. 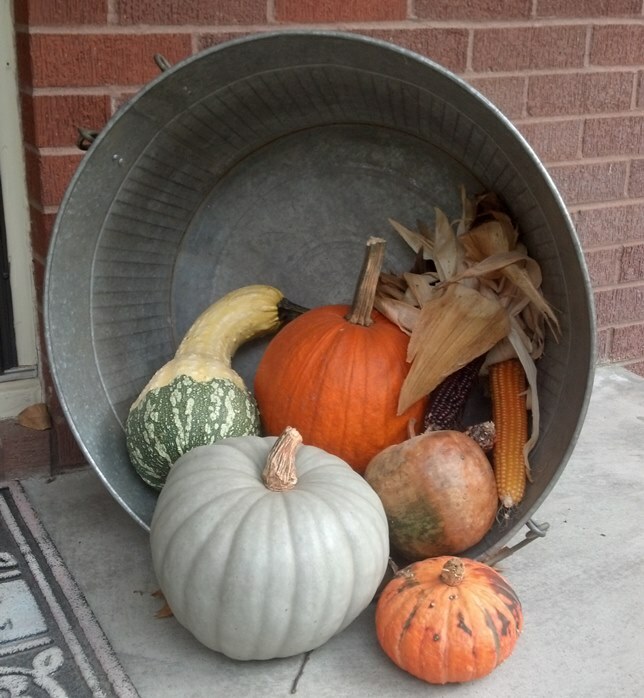 We also disposed of all of the October pumpkins and gourds. They were getting a little soggy and soft. 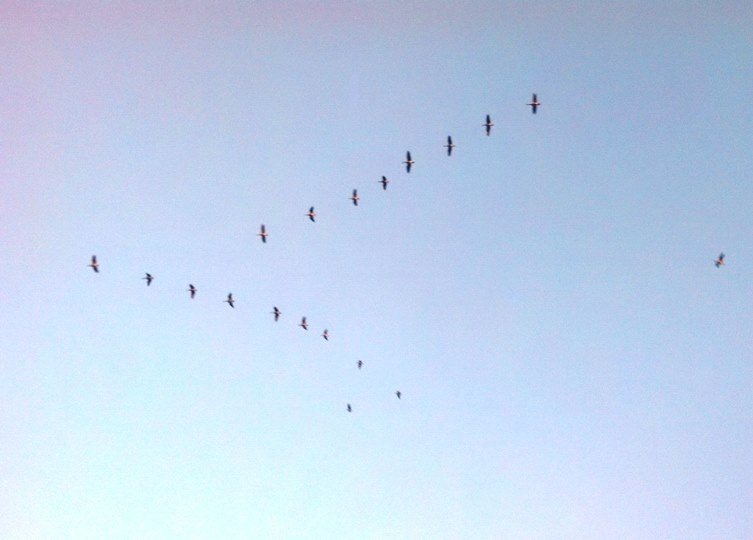 On Saturday afternoon while playing football in the backyard with my three kids we saw several “v” formations of geese flying and honking overhead. And on Saturday night while my oldest took a break from texting his girlfriend to treat her to a movie, a few of us had a movie night of our own at home. 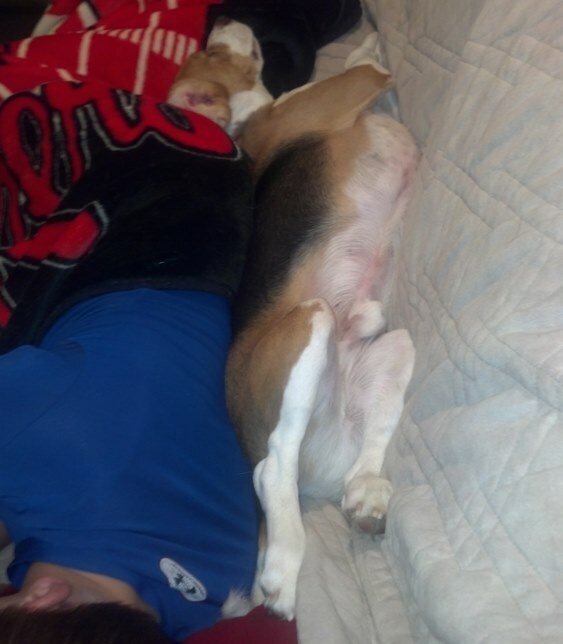 As you can see, Buster wasn’t really into the movie. We finished our weekend on Sunday in Aurora, Nebraska, to attend the confirmation of my nephew at St. Mary’s Church. It was the first Mass they’d had in their small parish in six months after undergoing a beautiful restoration and renovation process. It was the first time since his installation a year ago that I’d attended an event with our new bishop, Bishop James Conley, and I was unsurprised that I was as impressed with him in person as I’d been while reading about him. Afterwards we drove to my brother-in-law’s home to eat still more food and visit with family. As we were leaving Jonah and Sophie noticed that some sheep had escaped their pen and were wandering in an open space in the yard. 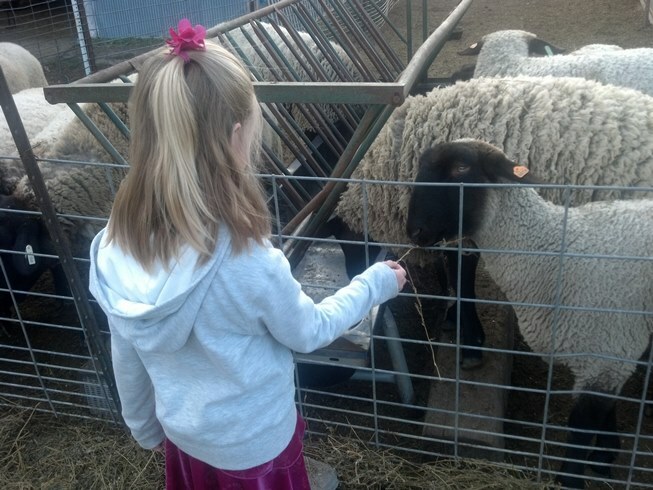 After my nephews rounded them back into their pen my daughter did what she’s learned to do best over the weekend: feed farm animals. I hope you all had a wonderful Thanksgiving, however you chose to celebrate it. I can’t honestly say that I took time to reflect upon blessings or “count my blessings”, but after re-reading the few blurbs written above perhaps it’s because I was too busy living those blessings and sanctifying Time. As I move into the next few weeks of Advent in which I look forward to Christmas, I hope you will also join me in your own personal ways. Photo credits: All are mine, except the phone cord. For that one credit must go here. ENGLISH: O King of the gentiles and their desired One, the cornerstone that makes both one: come, and deliver man, whom you formed out of the dust of the earth. The antiphons so far have already alluded to the coming Messiah arriving not only for Israel but also for the purpose of converting the gentile nations and redeeming them as His own. He did so, coming to all nations once as a babe and man and we long for His coming again in glory. Men and women have many gods and kings; we see the result of this every day. Whether its King Pride, King Government or King Possessions, we set up for ourselves many kings and slavishly grovel before them and serve them while at the same time indignantly turning away from the One King to whom we owe our allegiance. The cornerstone, still rejected by men. At Holy Mass of the ancient Church, Christians would face “East”, at least symbolically, so that they could greet the coming of the Savior, both in the consecration of the bread and wine and in the expectation of the glorious return of the King of Creation. But not just during the times of the early Church 2,000 years ago. Man’s desire for a Savior, a Redeemer who is capable of ransoming from the darkness of our sins and from the blinding and numbing wound of ignorance from which we all suffer goes further back. Pre-Christian pagan civilizations, too, sought light in the darkness. The desire for and knowledge of God is in our DNA. He is written on the human heart. noctis depelle nebulas, dirasque mortis tenebras.